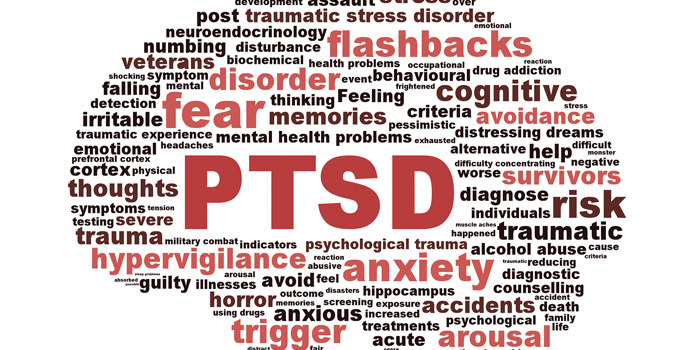 Post Traumatic Stress Disorder (PTSD) is an anxiety disorder that can develop after experiencing or witnessing a traumatic event, or learning that a traumatic event has happened to a loved one. DSM5 defines a traumatic event as exposure to actual or threatened death, serious injury, or sexual violence. Examples of trauma include being involved in a car accident, undergoing major surgery, experiencing natural disasters, violent crimes, community violence, and sexual abuse. One symptom of PTSD is thoughts. Thoughts that may come to mind include “its my fault it happened”, “I need to stay alert at all times to protect myself”, and “I deserved it. I’m a bad kid”. Physical sensations are also symptoms which include stomach-aches, headaches, muscle tensions, feeling amped up, and feeling detached from one’s body. Psychotherapy is a treatment of PTSD which includes cognitive therapy, exposure therapy, and eye movement desensitization and reprocessing (EMDR). Medications are also a treatment which includes antidepressants, anti-anxiety medications, and prazosin.